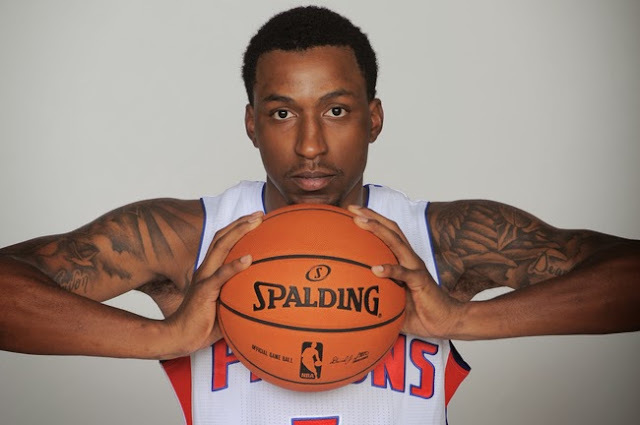 With the reassignment of Tony Mitchell and Peyton Siva* to the D-League it's worth looking at the development (or lack thereof) of Kentavious Caldwell-Pope. The return of Trey Burke from injury and his occasionally fantastic play, coupled with KCP's perpetually underwhelming performances, have prompted another round of cries for Joe Dumars' head and disappointment in the Pistons' first-round pick. KCP has not lived up to my expectations and has shown molasses slow improvement, but there exists hope and tangible development. The field-goal and three-point shooting percentages are the most obvious standouts from November to December. Watching KCP shoot corner three pointers was a frustrating affair during his debut month. A piece of scouting information I learned long ago was that when a shot bounces straight off of the back of the rim, a player's mechanics are true. Early in the season, KCP's shots were wildly inaccurate, clanging off the side of the rim even on catch-and-shoot threes. He remedied that issue and now, KCP's misses look true, which gives hope for his continued development. He still struggles to shoot threes above the break (see below) and he often rushes shots--I am worried about his inability to take shots under duress--which clang helplessly off the rim if they even make it there. But his overall improvement from beyond the arc cannot be denied. The same cannot be said for all of his shots. The team has begun running off-the-ball curl screens for KCP. His mechanical issues on these quick-release jumpers abound, as is evidenced by the results. His biggest issue on these two-point attempts is his inability to square his body before rising for the shot. He powers over the screen and cannot properly set his feet and square his body before shooting, resulting in a lot of wild heaves at the basket. He similarly struggles at the rim, where the speed of the game forces him to miss a remarkably high amount of layups in transition. KCP also avoids contact at all times when attacking the basket, which results in a lot of acrobatic misses as he weaves through defenders' arms. 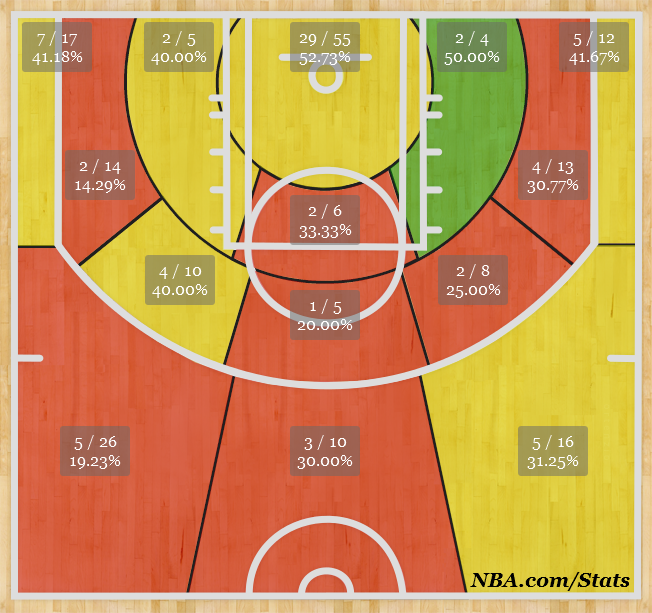 In spite of that shoot chart, KCP is improving. Month-to-month trends are nothing to get too excited about, but the development of his mechanics and increased jump shooting percentages point to a player slowly adapting to the NBA game. His defense has made him an indispensable part of the team and barring a setback, he should continue to develop into a consistent threat on both ends of the court. That was my expectation before the season began, and while it hasn't gone as smoothly as expected, KCP is still on track to be a valuable piece on this Pistons roster. *Siva currently has an amazing -4.46 PER, a number that I didn't think was possible with that statistic. Though his offensive skills in college were subpar, it appears he's incapable of playing NBA basketball. He is not long for this league, but sending him to the D-League to improve his shot and decision making remains his only chance.